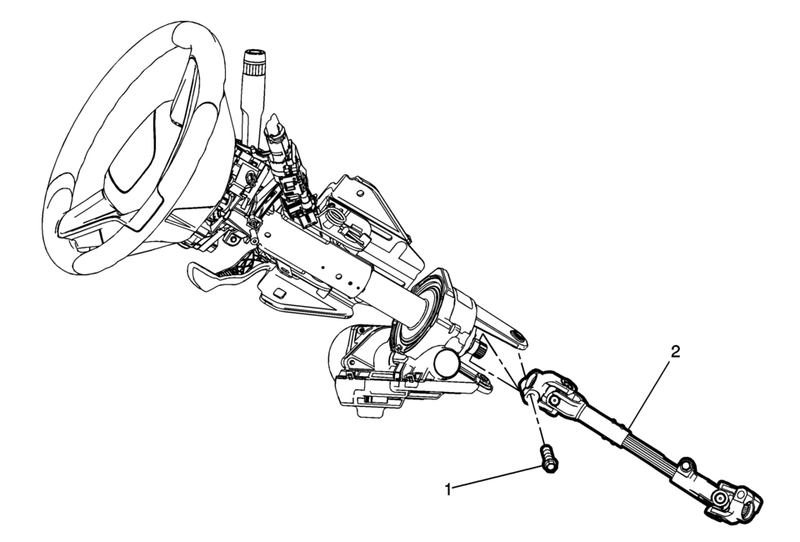 Remove the steering column and the intermediate steering shaft as an assembly. Refer to Steering Column Replacement. Place match marks on the intermediate steering shaft and the steering column shaft. If replacing the intermediate steering shaft or the steering column, copy the match marks from the old parts to the new parts. Align the match marks when installing the intermediate steering shaft to the steering column shaft. Set up the power steering control module. Refer to Power Steering Control Module Programming and Setup.